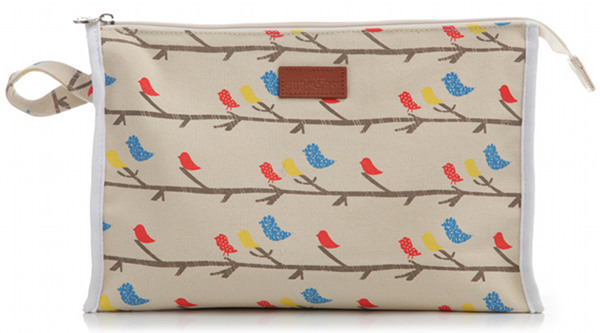 Apple & Bee - yummy bags for babies, kids & parents! Apple & Bee – yummy bags for babies, kids & parents! Drool time everybody; well that’s exactly what I did when we saw the new pieces coming out of a freshly-delivered box at a local store from Apple & Bee. There’s something for everyone here with sweet library bags for the kids, cool change mats for babies and three new styles of nappy bag for parents. I need no encouragement to order new bags of any kind but I’m not sure I can go on in the world without that fox library bag up there. 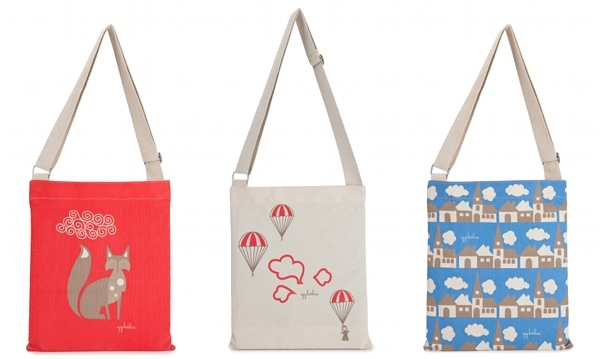 The bags are $29.95 each and also come in the parachute and town designs. 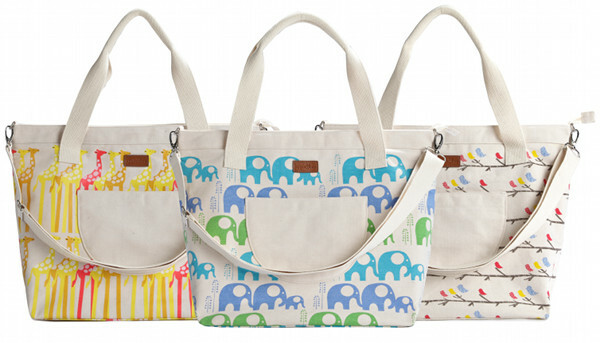 Roll up for three new prints on a pretty organic calico nappy bag ($89.95)! 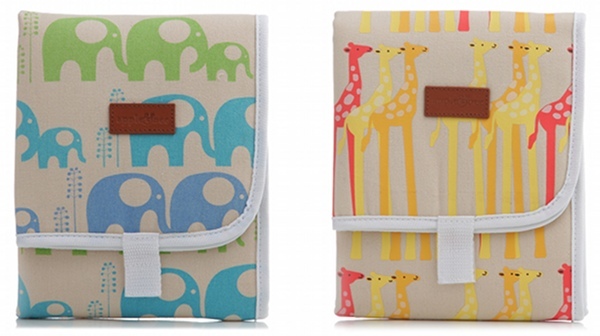 Choose from giraffe, elephant and bird and get set for jaunts to the beach or pool with baby. Get a co-ordinating Apple & Bee change mat (above) for those nappy changes on the go, along with the new Baby Cos Bag (below) – both available in the three new prints for $29.95 each. I also just spotted the travel bags for kids – great for summer holidays. Buy from My Messy Room and instore at Apple & Bee!